Built in 2012 and refit in summer of 2017, Aubrey is a fantastic yacht to take you around the Mediterranean this year. 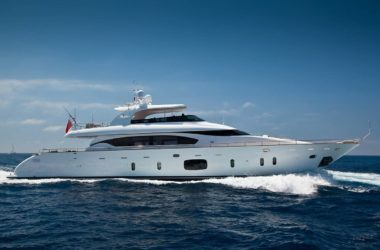 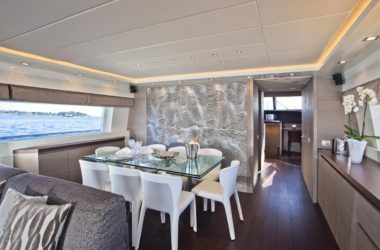 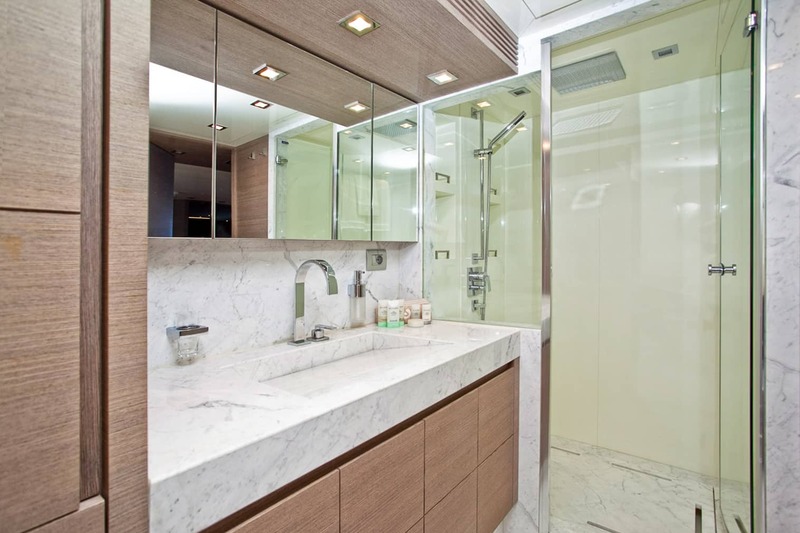 Her large interior can accommodate up to eight guests in four luxury cabins, including one master suite, one VIP stateroom and two twin cabins with pullmans. Her crew of four are ready to welcome you on board this home away from home! 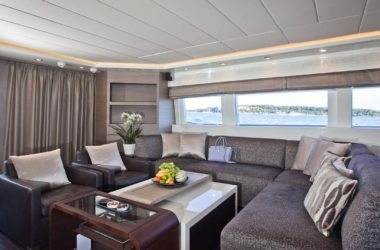 As you step board, take a tour of the two decks and be sure to grab a cold glass of champagne and relax in a lounge chair on the upper deck. 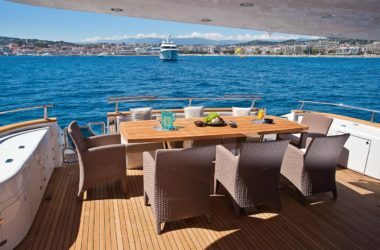 Head down to lunch outdoors on the aftdeck and watch as the harbour slowly fades into the distance. Should you ever want to escape the sun for a little bit, head into the timelessly styled salon and read a book, while never having to miss a view with large windows surrounding. 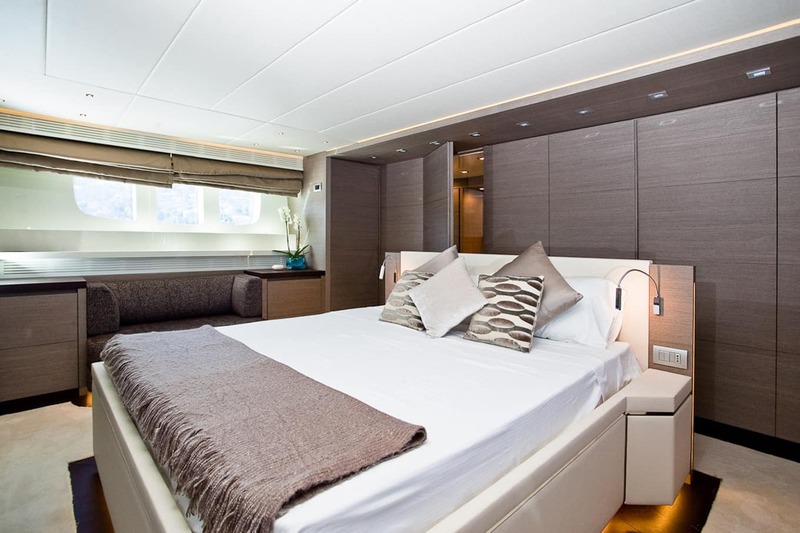 Her recent refit includes newly updated teak, a paint job and fresh carpeting throughout. Just shy of 100 feet, Aubrey is the perfect way to visit quaint seaside towns along the western Med. 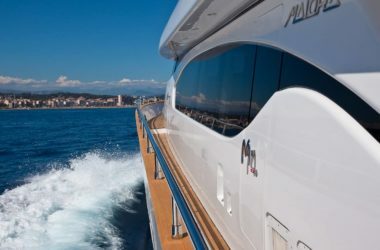 When you’re ready to stretch your legs a bit, there are plenty of water toys available to keep you entertained. 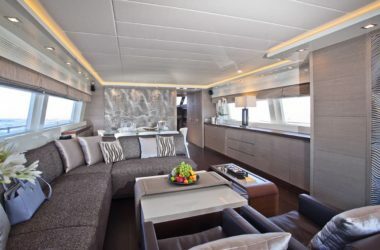 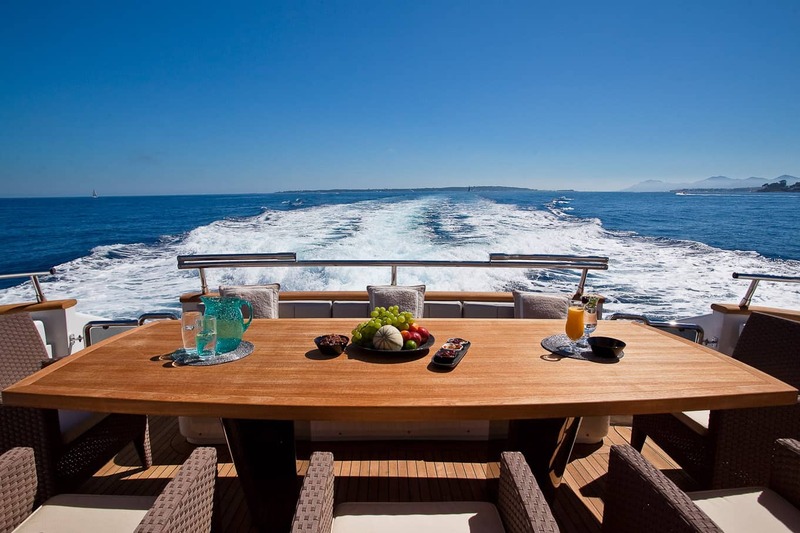 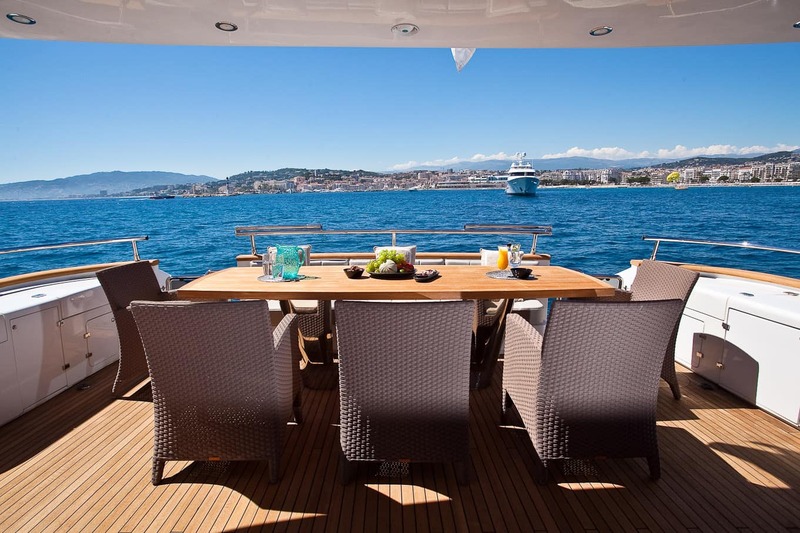 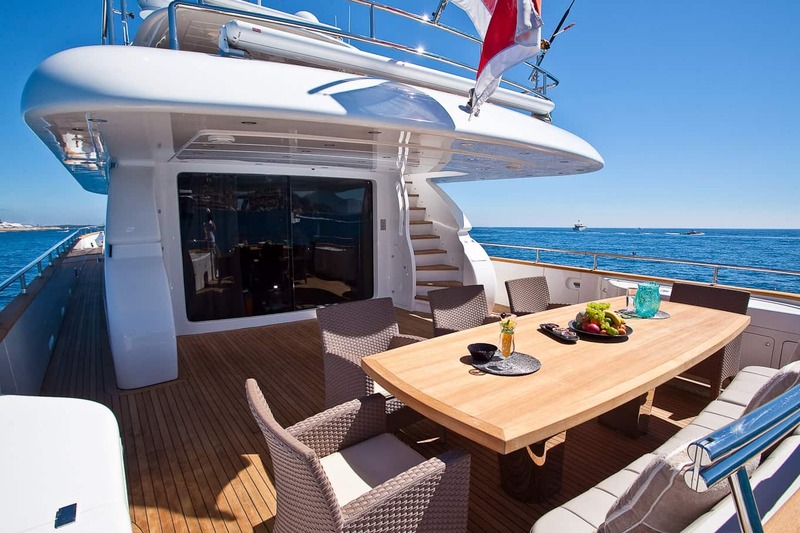 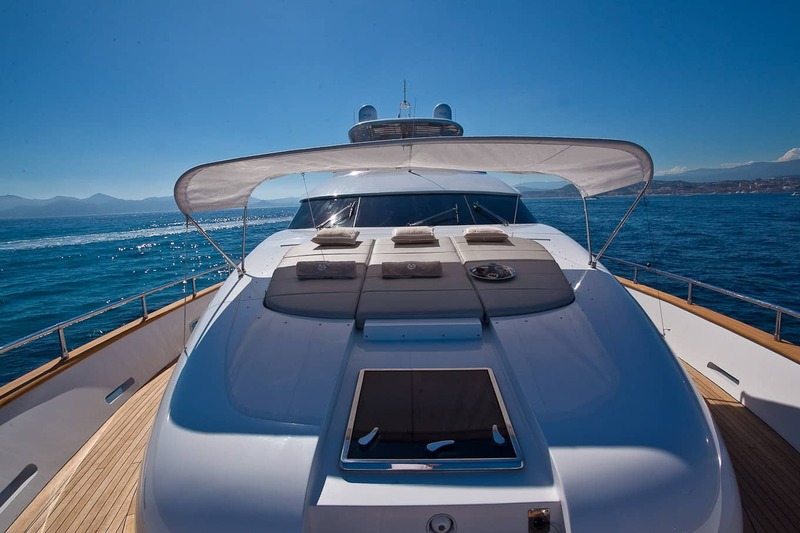 One of your crew will be happy to take you around in the tender – maybe you want to do a bit of shopping in St Tropez, or take a moonlit cruise along the Monaco harbour front to take in the lights and glamour of Monte Carlo. If being part of the action is more your style, grab the jet ski and rip around in the waves, or strap the wake board or waterskis on to get the adrenaline going. Then when it’s time for a quieter activity, grab one of the Stand Up Paddle Boards and cut through the clear water as your explore your surroundings. 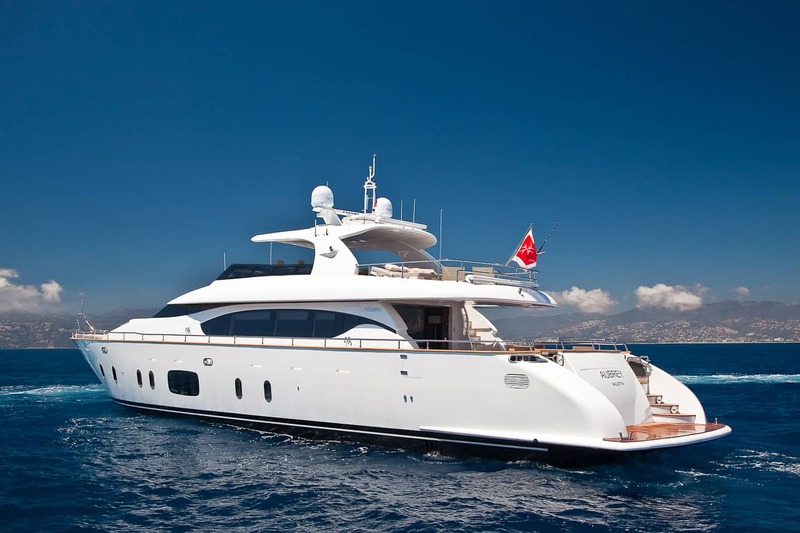 This fantastic experience is available for $8,700 per week per person based on a 7 night charter and 10 guests. 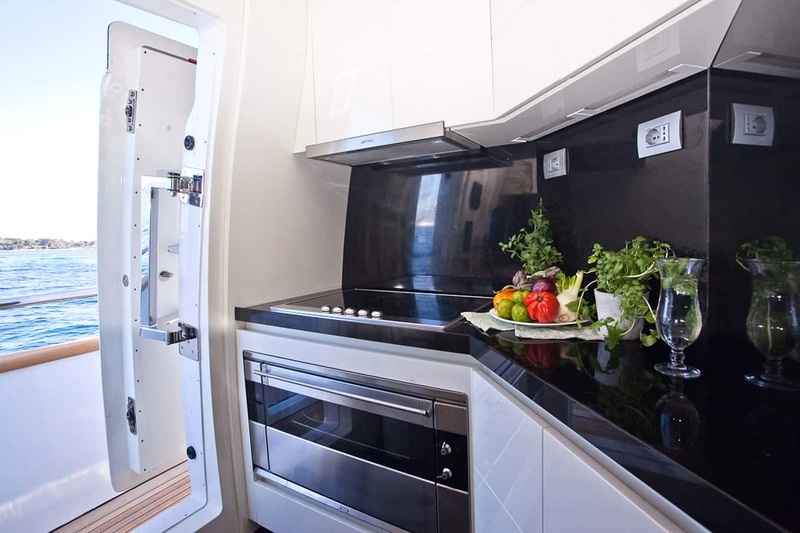 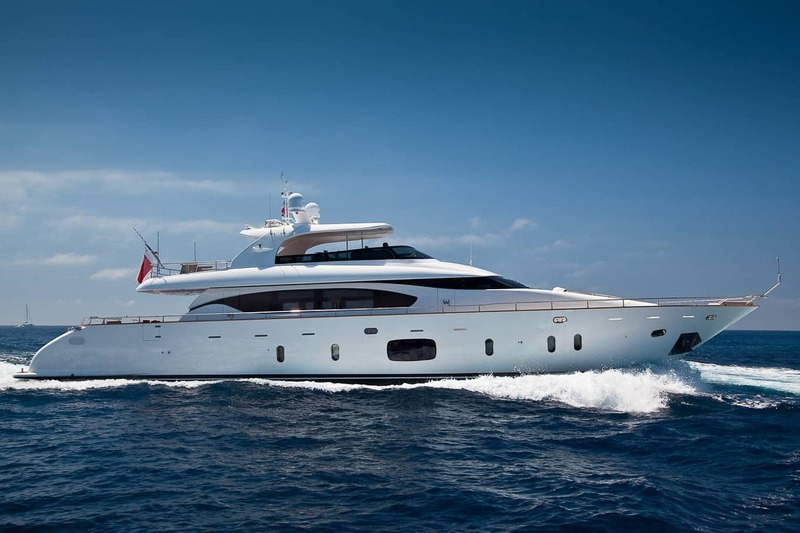 Price includes a base charter rate of $58,000 (high season), with the additional 35% covering basic taxes, fees, provisioning allowance, fuel and 15% gratuity. Any special requests over and above will be at an additional cost.